Ciaté Mini Mani Month – 23rd & 24th! Hello everyone! Firstly, I will apologise as this post was meant to be up on Christmas Eve, but I was enjoying a quiet day with my boyfriend and some of my family! These are the last two polishes that were in Mini Mani Month, and I have certainly missed opening the windows these past few days. I absolutely love this silver glittery polish, it seems if you make it more than two coats you could wear it alone! I’m really excited to use this. 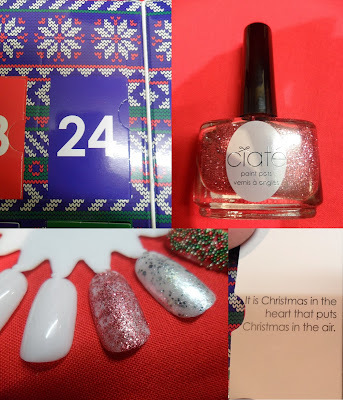 This is exclusive to Mini Mani Month, and when I opened the window I was SO excited to receive this polish, and so glad I had splurged out on Mini Mani Month! I have rekindled my love for pink this year, so I am very in love with this polish! 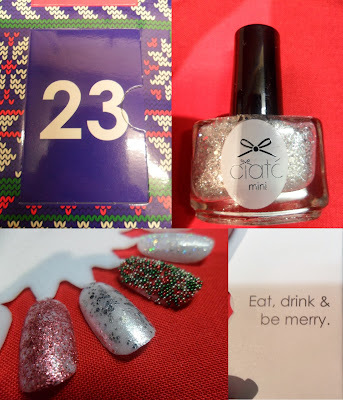 I have LOVED Mini Mani Month this year. Will I buy one next year? I will certainly be tempted.